New-car sales in Italy rose 3.4 percent to 177,822 in January, according to figures published by Italy's transport ministry. The rise was due to there being one extra selling day than the previous year. On an adjusted basis Italy’s volume decreased by 1.3 percent, according to analysts at Evercore ISI. A quarter of last month’s sales, about 45,000 units, came during the final day of the month, according to research company Dataforce. Most of that volume was due to self-registrations by automakers and dealers, Dataforce estimates. “Discounts by carmakers and dealers also helped sales grow” said Italian car importers association UNRAE in a statement. Separately, the organization forecast that full-year sales will rise +1.3 percent to 1.99 million. 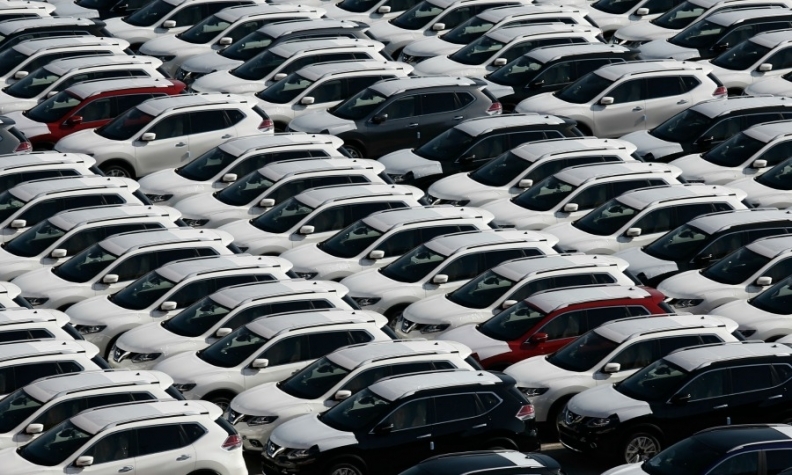 “Positive macroeconomic indicators will spur demand, but growth will be limited by the need of carmakers and dealers to unload the big stock of self-registered cars,” said UNRAE said. Dataforce also predicts that Italy’s 2018 sales will be just under 2 million. Fiat Chrysler Automobiles’s sales rose 0.5 percent despite an 8 percent decline by Fiat brand. FCA was lifted by Alfa Romeo, which gained 28 percent to 4,520 units thanks to the new Stelvio SUV, and Jeep, which more than doubled sales to 7,439 on the success of the recently launched Compass. Lancia sales were down 27 percent to 4,250. PSA Group, because of the addition of Opel sales, overtook Volkswagen Group as the country’s top importer with a volume of 28,575 units last month. PSA posted healthy gains with Citroen up 23 percent to 8,776 and Peugeot rising 15 percent to 10,879. Opel sales declined 6.9 percent 8,702. VW Group sales grew 8.3 percent to 24,533 units thanks to double-digit sales increases at Porsche (+55 percent to 678), Skoda (+33 percent to 2,260), Audi (+14 percent to 6,502) and Seat (+11 percent to 1,702). Demand for diesel-powered cars rose 3.8 percent in January resulting in a market share of 55.2 percent, according to UNRAE. The share for gasoline-driven vehicles slipped to 32.6 percent from 33.7 percent during the first month of 2017.